Novelty fades quickly. While we have become used to touch screens, the latest fad are touch-less interfaces. Game consoles have long embraced natural interaction and even your webcam can detect motion and gestures I Bet You Didn't Know Your Webcam Could Do This! 5 Tips To Help You Use Its Full Potential I Bet You Didn't Know Your Webcam Could Do This! 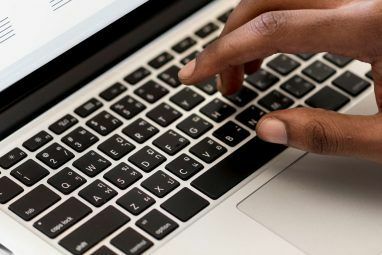 5 Tips To Help You Use Its Full Potential Are you the kind of person that covers their webcam with a sticker, so nobody can spy on them? Almost every device now is equipped with at least one camera. They make virtual meetings a... Read More to some degree. Right now the first application driven gesture recognition devices Kinect Is Not The Only Game In Town: 3 Awesome Gesture Recognition Projects Kinect Is Not The Only Game In Town: 3 Awesome Gesture Recognition Projects The potential for gesture recognition seems massive, but so far, it's also an unknown. How should developers create apps for it, what's the best hardware, and how should the feature be standardized? These important questions... Read More for personal computers are hitting the market, most notably the Leap Motion. The Leap Motion Controller is a novel user interface device Introducing The Leap - A New Touch-Free Way To Interact With Your Computer Introducing The Leap - A New Touch-Free Way To Interact With Your Computer A couple of weeks ago San Francisco-based Leap Motion announced a new input device called The Leap, an iPod-sized sensor that sits in front of your computer and provides a virtual 3D space that you... Read More for Windows and Mac. It lets you control your computer through finger gestures painted into the air above the small device. Leap Motion promises to make interaction with the computer and software more natural. In this article I will take you through the initial setup, introduce you to the Leap Motion’s app store, and generally explore how intuitive and useful this gadget really is. When you first connect the Leap Motion Controller to your computer, you need to run the Windows or Mac setup. The files can be downloaded from the Leap Motion Setup page. While the software is downloading, you can watch a video that demonstrates the entire setup procedure. After the software was installed, a splash screen loads, which will guide you through the rest of the super quick setup. Basically, you need to connect the controller to your computer and place it in a suitable location, as pictured below. From there you will be directed straight to Airspace, the Leap Motion’s home screen and marketplace. To enter, you first need to set up your account. Before you are let onto your Airspace Home screen, the place where all your apps are listed, you will be taken through an orientation. Here you will complete several demonstration exercises to familiarize yourself with the Leap Motion Controller. Amazingly, the Leap Motion Controller can detect single fingers, all 10 of them. After you completed the orientation, you will be dropped off at the Airspace Home screen. Here you will find a couple of default apps, including Google Earth, and a link to the Airspace Store. The store will launch in your default browser. The next time you boot your computer and want to play with the Leap Motion, you can access the Airspace Home screen through the green bar in your system tray. The bar shows up whenever the Leap Motion Controller is connected to your computer and ready to go. Right-click on it and select Launch Airspace. Should there be a problem with the controller, the bar will change its color and display a warning. Leap Motion worked closely with developers to make sure a selection of cool apps would be available at launch. 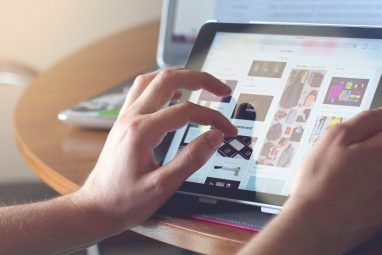 You could say they succeeded as the Airspace store contains dozens of apps in a handful of categories, including creative tools, education, games, science, and productivity and utilities. However, not many apps are free. When you get an app, it will immediately appear as downloading on your Airspace Home screen. Most of the free apps are cute proof-of-concept or training apps, for example VIZ.it (Mac), with which you can draw patterns or play Cut the Rope, a physics game that has won several game awards on other platforms, but with the Leap Motion it mainly allows you to practice precise finger movements. My favorite non-game app is Corel’s Painter Freestyle. The app was easy to control with finger gestures and thus a lot of fun to use. While it did work very well, it sometimes required a little bit of patience as colors, brush sizes, and other changes are activated in a time-sensitive manner. The technology used by the Leap Motion Controller is in its infancy and early adopters will have to tolerate a couple of shortcomings. Inaccurate Input: I found it very hard to make accurate moves and thus control my computer. This may be due to the Leap Motion’s incredible precision, which is unmatched by my own clumsy finger movements. Particularly the Touchless for Windows app was more of a drag than an actual help and I was never able to properly use The New York Times app. 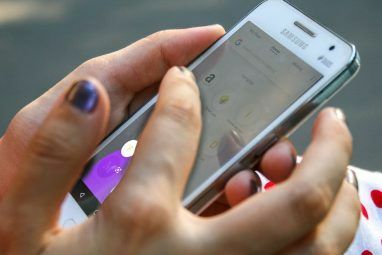 Finger Detection: When I tried to point with one finger, the controller would often detect a second finger somewhere, no matter how well I tried to hide the other fingers. My hand movements became very artificial and anything but intuitive. False Positive Malware Detection: Several of the apps I installed were flagged as malware by my antivirus program. Of course that’s a false positive, but it’s worth to be noted. The Leap Motion controller comes with some default settings which you should customize for optimal results. In the system tray, look for the Leap Motion Controller icon and double-click it to launch Settings. If you ever have issues with your controller, you can switch to the Troubleshooting tab and consult the support material or run diagnostic testing. Enable Automatic Power Saving: When I worked with the Leap Motion controller, I noticed that it became pretty warm and my computer was more busy than usual. If this bothers you, you can enable automatic power saving, which reduces performance and conserves power whenever possible. Change Interaction Height: The default is set to 20cm, which is on the high end. I played with different heights and in the end selected automatic interaction height. Tracking and Low Resource Mode: On my relatively new laptop, the Leap Motion worked just fine. On an older machine, however, it froze and apps wouldn’t load. When I disabled tracking and enabled low resource mode (under Troubleshooting), it performed much better. The concept is amazing and if it worked effortlessly, I would probably love my Leap Motion. Unfortunately, I had my challenges, which makes me believe this gadget still needs some serious work. In its current incarnation, it is slightly cumbersome to use for any productive work. That said, I do believe this is the next big thing and we will see touchless gesture detection as a standard feature in many devices soon. The games, however, are a lot of fun and I can imagine they are great to keep kids busy without ending up with smudged screens or keyboards. For more insights and updates, stay tuned for an in-depth review of the Leap Motion by Jackson coming up in August. 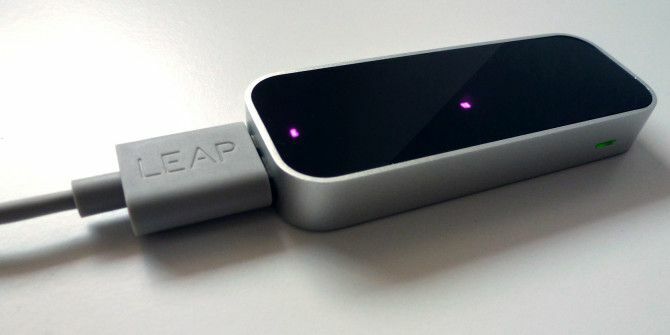 What do you think of the Leap Motion? Are you eager to try it immediately or would you rather wait until the technology has matured? I agree. Although it detects all your fingers in the demo phase, it's very imprecise. Did you figure a way to "double click", say to open a file or execute some thing? As a productivity toll it's a bust and such apps aren't exactly overwhelming the LM store. Michael, try going to pen and touch from the run menu in 7 and adjust the double click speed. I would definitely wait until the technology is improved however just out of curiosity which antivirus program do you use ? I got my leap motion last week, and found lot of issues with it , it is difficult to work with this this device.. I think you were too complimentary. I have buyers regret with mine, it is just about useless. The only think i can use it for successfully is to wake the computer with a wave of my hand. other than that it is just not precise enough to be useful, even scrolling windows doesn't work as well as a mouse. I thought it was fun with games. But I agree, it does require a lot of practice and getting used to and even then is difficult to make precise gestures. I've always wondered about the practicality of touch-less/gesture technology. Maybe I'm just old fashioned and like to point and click? I know there are certain aspects that could be useful and fun, but I dunno. For whatever reason, this stuff doesn't excite me. Great review though! Thanks! That's cool & very nice item. It's amazing. We can use our Computers like touch devices.